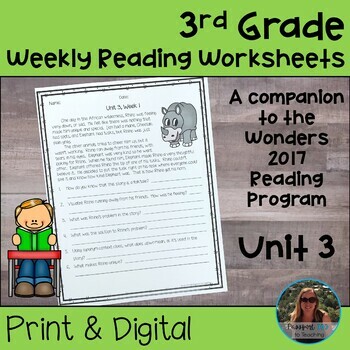 These weekly reading worksheets are the perfect companion to the Third Grade Wonders Reading Program. 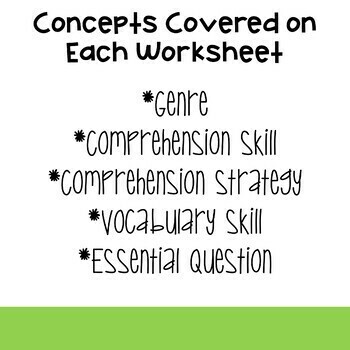 These worksheets cover the same skills as the Wonders program each week: Essential Question, Comprehension Strategy, Comprehension Skill, Genre, and Vocabulary Skill. 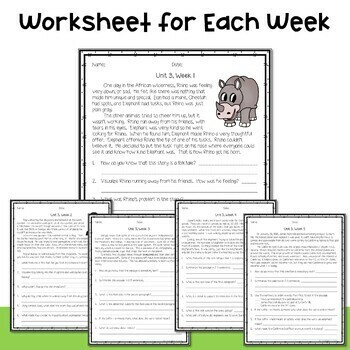 These worksheets can be used as review, homework, or even as a weekly quiz. 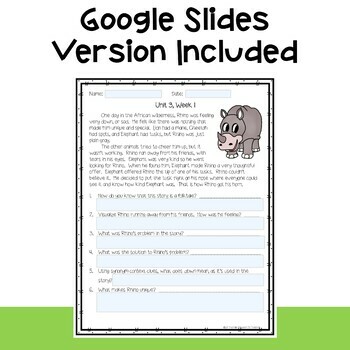 They are a great alternative to the long weekly assessments that are included in the program. These worksheets are also stand alone and can be a great spiral review of skills for teachers not using Wonders. Available in a bundle with all 6 units at a discounted price!